The smartphone has changed the ways and means of communication as nowadays a smartphone user is not at all dependent on a phone call or a text message. He can contact others with the help of different options of messengers and chat applications. There are many people who love to use various apps on the smartphone, but for effective communication, one needs a quality smartphone. However, as far as the smartphones are concerned, one may not get it in his budget, and in the case of a low budget phone, one may not get required features. But nothing to worry as the market leader, in mobile manufacturing, Samsung has brought a budget phone. Samsung is one of the oldest players in the Smartphone market. Samsung is a South Korean brand which is located in the Samsung town. The company initially started dealing with consumer electronic items and soon captured a huge share of the market. For the longest time, the brand dealt in electronic goods before venturing into the Mobile phone sector. Once the company started developing and manufacturing of the cell phones, there was no looking back. The Samsung mobile phones were a refreshing break from Moto and Nokia devices, which were ruling the market then. Then came the era of Smartphones! Samsung soon caught fancy of people. It is also known as initial brands to offer world class Smartphone devices which were loaded with the latest technology, appealing looks, and affordability. One of the major roles in the success of Samsung can be attributed to the affordability factor. In the past decade, Samsung has launched its various Smartphones from its renowned series which were popular among buyers. The E series, J series, and C series have seen huge popularity across the globe. The J series is known for its affordable price. J series is kind of Budget Smartphone series. Now, the company is all set to come up with the latest device in the J series with J3 Prime, which is expected to hit the market in September 2017. To know the device, it is important to check the features and specifications of the phone. Here one must note that there is no official information about these features, but the experts have got them and provided their views for the ease of potential buyers. The Samsung Galaxy J3 Prime is packed with a 5-inch HD screen which comes with IPS LCD and capacitive touchscreen which is believed to respond quite well to multi-touch. It comes with a screen resolution of 720 x 1280 pixels with 294 ppl (which is considered as the best in the segment). The device weighs around 148 grams which make it light as a feather. The phone has 139.7 x 69.8 x 8.8 mm dimensions. The J3 Prime exclusively comes in black colour. Hence as per the display, the phone has standard size display, and the overall weight of the same is also standard so the user can easily operate the device. The Samsung Galaxy J3 Prime runs on the latest Android version 7 Nougat. The device is equipped with Quad-core 1.4 GHz, Cortex- A53 processor along with Samsung Exynos 7 Quad 7570 chipset. It comes with a 1.5GB RAM which is fine for a low-cost Smartphone. Considering the peanut price of the device, the software is one of the remarkable features of J3 Prime. The device has quality processor and chipset that can help the user to have easy use of various applications. The RAM in this device is also sufficient for the normal users as it is a budget device. The Samsung J3 Prime offers a decent camera in the low-cost segment. The phone is packed with a 5MP primary camera with features such as Digital Zoom and LED Flash. It comes with a screen resolution of 2592 x 1944 pixels. The device offers a basic 2MP secondary camera, but it does not offer any flash. Hence, the user can also take selfies and video clips even with this budget device. This is a budget phone, but it performs well on the memory and battery department. The device is equipped with a huge 16GB internal memory which is impeccable for a low-cost Smartphone. The memory on this budget device can be further expanded up to 128 GB via Micro SD card. As far as the expandable memory is concerned, the phone is doubtlessly a budget phone, but it has got huge storage, which can help the user to save videos as well as images to a huge number. 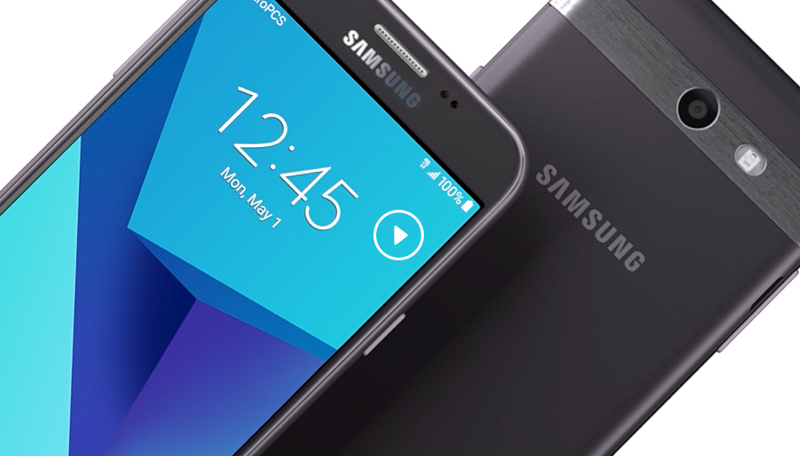 The Samsung J3 Prime is backed by a powerful battery support. It comes with a 2600 mAh non-removable Li-ion battery which offers long endurance. The battery is also a long lasting one, and hence the user does not need to worry about being out of battery. Samsung J3 Prime offers a single SIM option along with other connectivity options like Wi-Fi, Bluetooth, Mobile Hotspot, FM Radio and USB port. The device supports 2G, 3G, and 4G along with GSM, GPRS, and EDGE. It comes with the proximity sensor, accelerometer and light sensor but does not have a fingerprint sensor. Hence the user can easily exchange the files of various data. The Samsung J3 Prime price is estimated to be around Rs.4500 and makes it one of the lowest-priced budget phones. Samsung J3 Prime is the most coveted devices of the year owing to its price, after all, who does not like to have an amazing camera, powerful processor, and amazing camera at peanut price! The battery and display are yet other plus points of the budget phone. The device is sure to face some competition from the Chinese devices in the lower segment, however; the competitive price of the J3 Prime will give it an edge over others. Since the device has not been launched yet, it would be too early to comment on the performance of the phone.